What separates a normal citizen from a successful millionaire with many businesses under their name? What makes a successful man/woman quite often is something as simple as the will to go on, and a vision or a dream. Learning about entrepreneurship and the ups-and-downs that go with business was the main point of the 40th edition of BarCamp Prishtina, which invited renowned speakers in the field of business and entrepreneurship to share their stories and challenges they have faced with the BarCamp Audience. The audience of the #40 Edition came in great numbers at the Oda Theater, with more then half of the audience consisting of newcommers on the 16th November! This edition was focused on the topic of Entrepreneurship, within the Global Entrepreneurship Week. Alban Ibrahimi, co-founder of Frutomania was the beginning speaker who shared with the audience of BarCamp the high’s and low’s of his venture as an entrepreneur, not sparing details of how they selected the fruit for making the drinks for Frutomania, the process they undergo and even the quality control and feedback from the client’s they serve. “The educating of frutomania customers has not been a one-way process – we have learned many a thing from our customers as well”, claimed Alban Ibrahimi as he explained about the development of Frutomania. The audience was quite interested in the way frutomania has grown since it’s beginning, when only 1% of the people knew about it as a company, to being one of the drinks on every markets shelves. The main questions asked by the audience were aimed at the beginning stages of creating Frutomania and the quality control/improvement over the years. Blerina Kllokoqi-Rugova was accompanied with much applause after the first talk, who also shared a motivating story of perseverance. Blerina Kllokoqi-Rugova has created dresses for Princess Leia, which were mentioned in world renowned fashion magazines. Among her many successes, having been the personal designer to former Kosovo President, Mrs. Atifete Jahjaga stands out in her career as one of the key moments. As she explained to the BarCamp Audience the toll her fashion career has taken on her personal life, she made clear the hardship she faced from being a successful woman in a country dominated by prejudice and men. “One of my great challenges was also making clear to the audience the difference between a tailor and a designer” explained Kllokoqi-Rugova throughout her talk. The third speaker of the evening, Rron Cena from Formon, presented the initial phases of the companies start and explained how the business of 3D printers is growing every day, and allows a lot of space for “new players”. According to Rron, 80% of the printers they build are already pre-ordered. Used widely by construction and architecture companies, the 3D printers made at Formon cost anywhere from the base price of around 600€ to 1200€ and higher for different model and size printers. “The beginning was hard, because when we made our first printer, it worked, and we didn’t know why. Our second printer we build the same way and it didn’t work, and we didn’t know why even then!” explained Rron Cena as he took the audience through a presentation tour of Formon’s first stages. The 3D Printing business has had significant growth since it’s start in 2007, where the production of 3D printers was really low until 2011 where interest in 3D Printers went up significantly. Inquiries from the audience included questions about the cooperation and investments pursued by Formon for creating the company. The last, but not least, was Liza Gashi from Germin, who introduced to the BarCamp Prishtina Audience the concept of germin and how it aims at getting the Kosovo citizens closer with it’s citizens who live outside of the Kosovo borders and make up the “Diaspora”. We hope we have inspired a new wave of business undertakers in business! 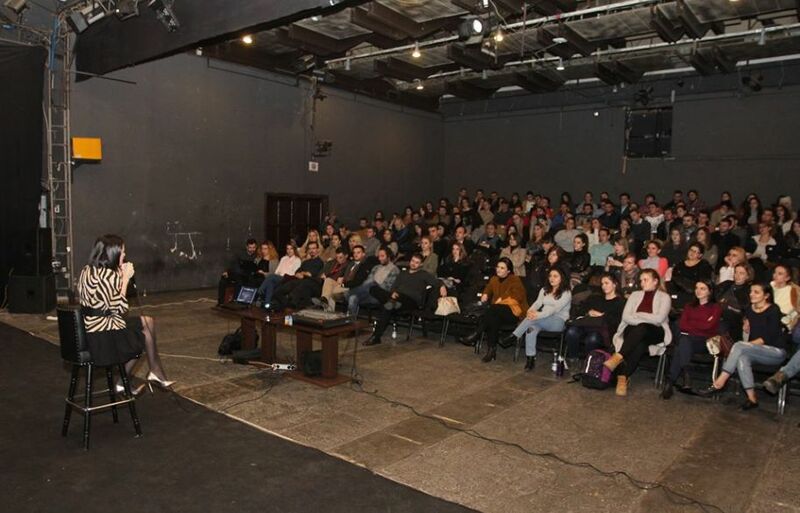 Until the next edition of BarCamp Prishtina – stay inspired and never give up!